Twisted Nylon nettings for aquaculture systems manufactured by Netmark is always made with the best possible raw materials to ensure high-quality products. 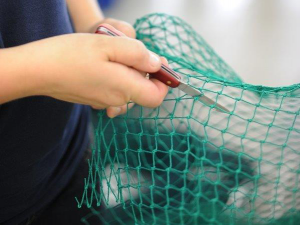 To secure a long lifetime of the twisted nylon nettings, all nettings are impregnated with a coating developed by Netmark. The nettings are supplied in white, black and green. Other colors are manufactured on request.